It is a clue to a mystery that may have no solution. Just beyond the old capitol’s walls, archaeologists recently unearthed a curious relic of Cahawba’s capital days. Broken windowpanes, shattered by some unknown event or person, were carefully placed inside several bottles with the tops broken off and then buried. But by whom? At the old ghost town of Cahawba, the state’s abortive first capital, the Cahaba River spills into the muddy waters of the Alabama River, ending the run of the state’s longest, free-flowing river at the site of what was to be the greatest of Alabama cities. 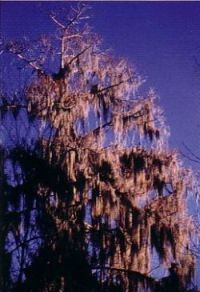 Along County Road 9 leading to Cahawba, Spanish Moss drapes the aged oaks majestically lining the route, and a sense of the remote and fallen grandeur in the quiet country road seems to intimate it’s significance. It is not reconstructed or rebuilt. It is not a theme park: it is real.